Online research by Torreya Guardian Jeff Morris in 2015. • Gladwyn (by Philadelphia) - If this article is accurate, there may be seed sources in Gladwyne, PA" "... another large tree grows at the Henry Foundation @ 801 Stony Ln., Gladwyne, PA." Googled: Henry Foundation for Botanical Research, 801 Stony Lane Gladwyne, PA 19035 (610) 525-2037. A pair of Torreya trees are among the 50 acres of plantings on the grounds of the The Henry Foundation for Botanical Research in Gladwyn, PA (near Philadelphia). Founded in 1948 by botanist and plant explorer Mary Gibson Henry (1884-1967), the site still showcases the plants she collected on her expeditions through remote areas of the West, Midwest, and Southeast. These two torreyas have been surviving in Pennsylvania since Mary Henry planted them in the 1940s to 1950s. One is believed to have been grown from seeds and the other was brought in as a seedling. Online research by Torreya Guardian Paul Camire, 2018. 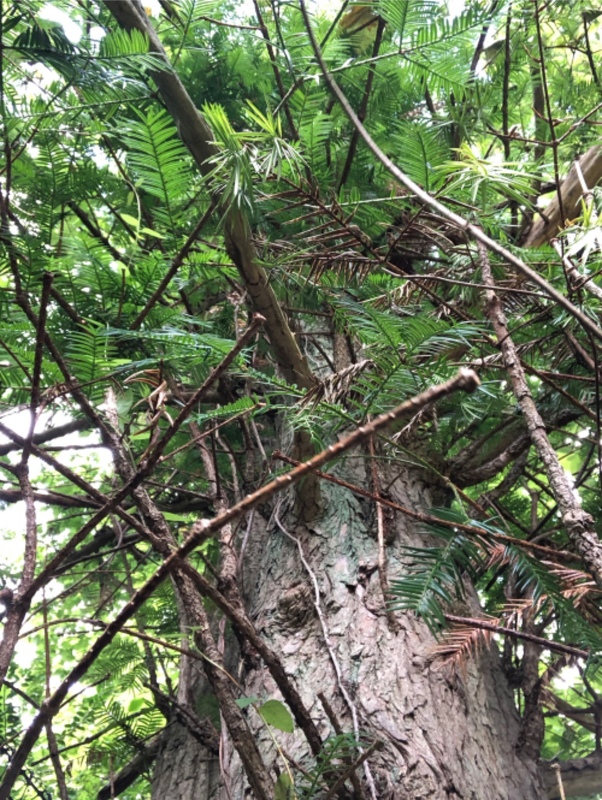 Yes, I planted a Florida Torreya at my farm in York County, PA in the late 1970s; can't remember the exact date. It was given to me by the late nurseryman Tom Dodd Jr of Semmes AL, who propagated it as a cutting from a plant collected in Florida. Apparently it was a cutting from a lateral branch because it never developed a leader as you see with seed-grown plants. My farm was in the cold part of Zone 6 for many years and now mid-Zone 6 to 6b. However, in January 1994 we had the lowest recorded temperatures ever. It was about -23 F the first night and -12 the next. The high during the day in between was -4 F. I lost a number of trees and shrubs, but the Torreya was not damaged beyond a little discoloration of some of the leaves. I never measured the tree but after nearly 40 years it was about 20 feet tall and nearly as wide. If it had been rooted from a terminal cutting it would have been a lot taller. As it was, it grew as a big blob. I will try to find a photo for you. I sold my farm in 2016.